Math, y’all, may be the death of me. I am a writer. I love teaching writing. I get writing. Lo and behold, I feel comfortable teaching it. What I don’t get however, is math. And how to get deep-deep-deep-down there where my learners are developing a conceptual understanding. I try. I question. I explain. I have them explain, share, think, and question. But in all honesty, I just don’t feel like it’s getting my mathematicians to the place they need to be. We’ve been studying place value as 4th graders. 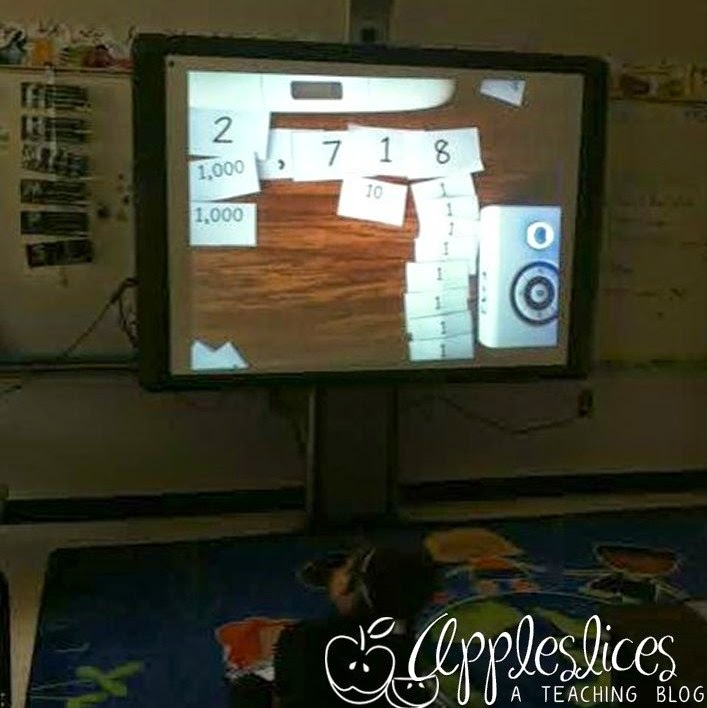 And although we’ve been using base ten blocks, place value cards, First to 1,000, and many other strategies, it just wasn’t clicking like it needed to. One of my sweet n’ lows just had the most frustrated look during math. And I felt horrible! Then all of a sudden, I stumbled upon this gem online somewhere. Originally I printed it out for my learners. But I realized that three pages for each student + lots of cutting would take up far too much time for me. And I wasn’t about to cut it all out myself. Aint nobody got time for that… So I moved to the next best thing, the Elmo, and cut out one set myself. So simple. Number cards, and 1’s, 10’s, 100’s, 1,000’s, and on and on- up to billion. We laid out our cards and I asked the big question… “So, what’s the value of this 2?” “My little one’s hand shot up. SHOT UP, y’all. “Two thousand” she proudly shared. And my day was made. Obviously I got ahead of myself with this picture- we still needed seven thousands. But you get the gist! This also helped reinforce the big idea that each place value to the left is TEN TIMES the previous number. Which we had a rough time grasping. Maybe you’re looking for someway to connect this concept with your kiddos too. Or you want to review a bit. Grab this simple, simple, simple activity here!